Let's be real---women rock. Today is International Women's Day, and we're excited to highlight and share just a few (there are so many) of our favorite musical females. Yoonshin Song currently holds the first violin and Concertmaster position with the Detroit Symphony Orchestra. She was born in South Korea and began studying music at the age of five---piano and violin. She made her performance debut at the age of 11 with the Seoul Philharmonic. As Concertmaster, it's her responsibility to connect the orchestra to the conductor, after whom, she is the most important leader in the ensemble. Marin Aslop is an American Conductor and violinist. Currently, she conducts the Baltimore Symphony Orchestra. Marin is the first woman to hold the position of music director with a major American orchestra. With both of her parents being professional musicians, and her mentor being Leonard Bernstein, it's no wonder Marin is destined for musical acclaim. Ella Fitzgerald was an American jazz singer---her voice was her instrument. She's often called Queen of Jazz. Ella experienced music in church, and through listening to jazz records. Her childhood wasn't easy, and singing became the way she supported herself during her late teens when she didn't have a home. Ella won a couple of singing contests and sang her way onto the stage with Chick Webb, drummer and bandleader. Ella's career soared. She won 13 grammy's, the Grammy Lifetime Achievement Award, the Presidential Medal of Freedom, and more. Amy Beach was another child prodigy. She started composing music at the age of 4---without a piano---she composed music in her mind. Agents sought after Amy at the age of six to preform concert tours, which her parents turned down. She trained with local Boston music teachers, and she taught herself theory, composition, and orchestration. Amy wrote "Gaelic Symphony," the first symphony composed and published by an American woman, at the age of 29. The piece premiered in October of 1896, and was performed by the Boston Symphony. Amy is one of the most distinguished and respected pianists and American composers of her time. Clara Schumann began her mark on the world as early as 9, she was known as a child prodigy. She studied piano, violin, voice, theory, and composition. She toured Europe as a pianist beginning at the age of 11. Clara composed over 60 works. 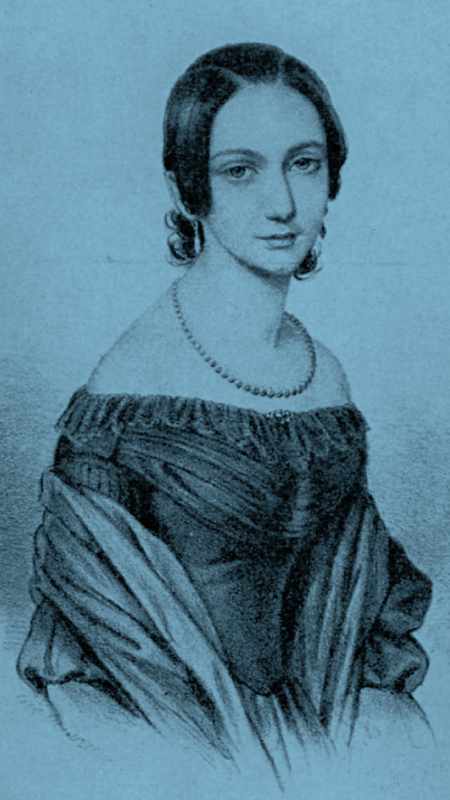 She is considered one of the most acclaimed composers and pianists of the Romantic Era. Who are some of your favorite female musicians? Drop us a line! Are you looking for a challenge in the new year? I mean, a real challenge to your musical skills, not just a resolution? Great! Here are a few things we here at A&G think might help you along in your musical career. Learn the pure form of all the minor scales. If that's too much, then first do all the flat minor keys, and then once you conquer them, try all the sharp minor keys. If you are really motivated, try learning the harmonic, and or melodic forms as well! If you're a percussionist, make a plan to learn all 26 rudiments for snare drum--- perhaps one rudiment every two weeks. If you have not tried to master melodic percussion, then give that a go. Start by learning your major scales. Try your hand a being a copyist. What's a copyist? A music copyist's job is to create neat copies of a composer's music/arrangements. There's no a huge call for it, but writing music by hand can help you learn to read music better. Making sure you get the correct number of beats per measure and the right key signatures can solidify your existing music skills. If you have never tried to record yourself while practicing, this needs to be added to the to-do list. There a lot of things you can do with just a cell phone digital recorder. Record one part of a duet, and play the second part with yourself. There are apps that allow you to create multiple parts of compositions. This is a great challenge! Improve different aspects of your playing by listening to what's coming out of your horn. Find out common mistakes you're making over and over. Get comfortable with a recording device and listen for imperfections to work on. Something else, which will not necessarily tax your musical skills, is to make a commitment to cleanliness. Keeping your instrument clean, especially if it is a wind instrument, will pay dividends in a number of ways. Your instrument will function a lot better, and if it is functioning better, it will ultimately sound better. You will also help maintain your personal health. For long time players, if you are winding up your musical career, or have instruments or music you are no longer using, consider donating it. Choose a younger musician to be the recipient. I recently handed off a stack of my old music to a young college student studying horn. Recycle it, don't just throw it away. There's a player who'd love to receive your collection! The Central Music Team hopes you have a prosperous, musical New Year! Now go challenge yourself! The following is a comprehensive, but not exhaustive list of things that successful musicians do. There are undoubtedly more to be added to the list, and there may be some that are more important than those listed below, but these are some of the ones that helped me in my career as a musician. If you even do a portion of these things, you will be well on your way to being a well trained, well rounded musician. The number one thing that successful musicians do is practice. Daily is the most preferable, but life gets in the way sometimes so try to keep your practice habits as regular as possible. Also practice in the same place and same time of day. Don't try to jam all your weekly practice time into one or two days. Spread your practice out over the week, an hour at a time. Regular muscle conditioning will serve you better in the long run than trying to get it all done at once. You can never listen enough. If you are an instrumentalist, listen to a pro who plays your instrument. If you are preparing a solo, find a copy of your favorite player performing that solo. Try to model your performance after his or her performance. Who better to copy than a person who has attained all the skills you are trying to learn. If you are an instrumentalist, listen to a vocalist. Expand your horizons. Vocalists can produce great emotion in their singing and that is not a bad characteristic to emulate in your playing. Listen to ensembles - duets, trios, and large ensembles as well. You can never listen enough. Find a teacher who can help you on your way. Not just your band or orchestra director, although they most likely would be an excellent choice, but a private teacher who can sit with you, play with you, and build your confidence. You must be willing to accept criticism from this person because they have reached a level you are trying to attain. Your teacher has been there and done that. Never stop reading. Not just music, but books, newspapers, articles about music. Reading, like playing music, makes you smart. It can expand your horizons and help you develop new interests. Last but not least, play or sing with a friend or another person or group of people. That is why bands and orchestras and choirs are so important. Being in an ensemble gives you a group of friends who automatically share your passion and interest in music. Performing in ensembles gives you one of the most important tools you can have as a musician. A critical ear. Not just to critique others, but yourself as well. When you are in an ensemble, it's like you are part of a team. Each person has a different job on the team and it is your job to be able to listen and adjust to the other team members so your sound blends well with them and doesn't overpower any one voice or instrument in particular.